A painful chapter in the lives of two Greek families, one from the northwestern Greek town of Parga and one on the island of Lesvos, will come to a close next week when the remains of their loved ones are returned after 43 years. 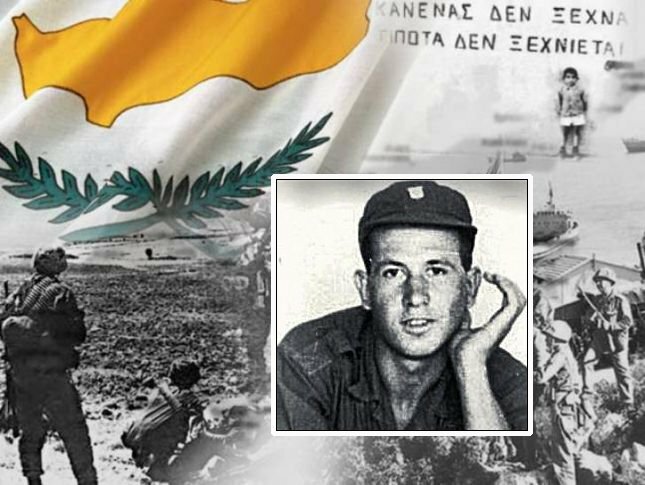 The bones of Giorgos Zervomanolis and Vassilis Triantis, both of whom had been considered missing in action since the clashes between Greek and Turkish forces during the Turkish invasion of Cyprus in 1974, were recently found, identified and are finally coming home. Zervomanolis was 21 at the time of his death and fell defending the ELDYK army camp during the battle on 16 August 1974. He was buried by the Turkish in a mass grave found 1,200 metres north of the camp, next to a stream with another 11 people. The grave was dug up and 10 of the individuals buried there were identified via DNA testing. His bones will be taken to the Hellenic Army General Staff in Athens on May 26 and transported to Lesvos for burial in a special ceremony on May 29. The remains of Vassilis Triantis, which were found by a farmer in an area where he kept livestock near the former ELDYK camp, will be taken to Parga on May 27. Talking to the Athens-Macedonian News Agency (ANA) on Friday, his brother Kostas said the family has lived with uncertainty since that fateful day when a delegation from the local militia came to their village with the news this his brother was missing in action. “It was August 18. The Defence Militia Battalion came and told us that Vassilis was missing. That he was lost in action in the three days between 14-16 August. My father and mother collapsed. We did not want to believe the worst. Mother, right up to the time that she died 10 years ago, lived in the hope that she would see him again,” he said. Kostas Triantis also described how he went to Cyprus in search of his brother two years later but lost hope that he would be found alive, since all witnesses said that the Turks had encircled the ELDYK camp and left no one alive because they fought back. An ELDYK soldier from Parga that survived and went back told the Trianti family that he had seen Vassilis wounded near the camp. Costas Triantis noted that his brother, who had been 21 at the time of his death, had emigrated to Australia and then returned to serve his country. In November 1973, before he left for Cyprus, he had written home and asked for his brothers. “He seems to have had a premonition that he would not see us again,” Costas added.